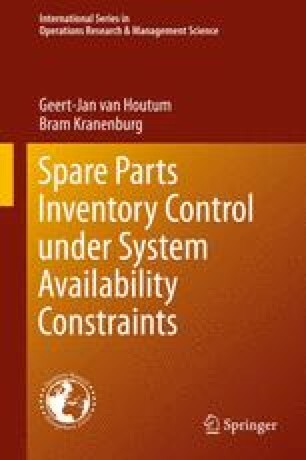 Chapter 2 is devoted to basic multi-item, single-location inventory models for spare parts. These models constitute the basis for all other chapters. We start with a basic model with backordered demands and a service level constraint in terms of the aggregate mean number of backordered demands. This measure is directly related to system availability. For the minimization of the investment in spare parts under this service level constraint, we formulate a greedy heuristic, which is shown to generate efficient solutions for a directly related two-objective optimization problem. Next, we discuss Lagrangian relaxation and Dantzig-Wolfe decomposition as alternative optimization techniques, we explain the item approach, and we show how to deal with alternative service measures. Finally, we describe a variant of the model with emergency shipments and an aggregate mean waiting time constraint, and multiple other extensions are given.